Unpleasant surprise: Core i5 Lenovo ThinkPad X1 Tablet 25% faster than i7-SKU! Even we at Notebookcheck are sometimes surprised by test samples. The entry-level CPU of the ThinkPad X1 Tablet is about 25% faster than the more expensive Core i7 under sustained workloads. How is that possible? Buying a new laptop can be a tricky process, which is once again proven by our in-depth review of the ThinkPad X1 Tablet from Lenovo. Besides the base model with the Core i5-8250U, Lenovo also offers supposedly faster Core i7 chips. We also tested such a device for our performance section. This is an expensive business device with a starting price of more than 1700 Euros, so you might think you can actually use the additional performance when you pay the premium for a faster component. The performance utilization of most current subnotebooks or Ultrabooks, respectively, mainly depends on the cooling solution. We often noticed that more expensive CPUs only have a small advantage over base models, but we were astonished by the results of the ThinkPad X1 Tablet. We use a loop of the Cinebench Multi-Core test to simulate sustained workload for the processor. The base Core i5-8250U managed an average score of 550 points after 50 runs. This means it is a whopping 25% faster than the Core i7-8550U, which only manages 440 points on average. This difference can be explained by the additional heat from the processor as well as the somewhat unbalanced energy management from Lenovo. The Core i7 needs a lot of power for the high Turbo Boost clocks, which creates a lot of heat. This is too much for the cooling after a few seconds, so the CPU performance decreases. This loop continues after the CPU temperature is down again. It would have been a better decision to set a fixed limit where the CPU can work at a steady level. We also managed to optimize the core voltage of the base Core i5 CPU, which resulted in a massive performance advantage. 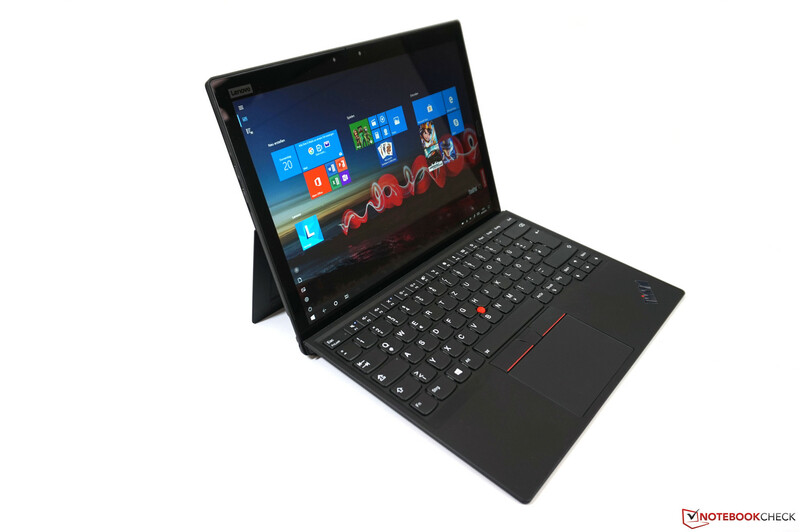 Please see our review of the ThinkPad X1 Tablet for more details. > Notebook / Laptop Reviews and News > News > News Archive > Newsarchive 2019 01 > Unpleasant surprise: Core i5 Lenovo ThinkPad X1 Tablet 25% faster than i7-SKU! I grew up with computers and modern consumer electronics. I am interested in the technology since I had my first computer, a Commodore C64, and started building my own PCs after that. My focus here at Notebookcheck is the business segment including mobile workstations, but I also like to test new mobile devices. It is always a great experience to review and compare new products. My free time is filled with a lot of sports, in the summer mainly on my bike.